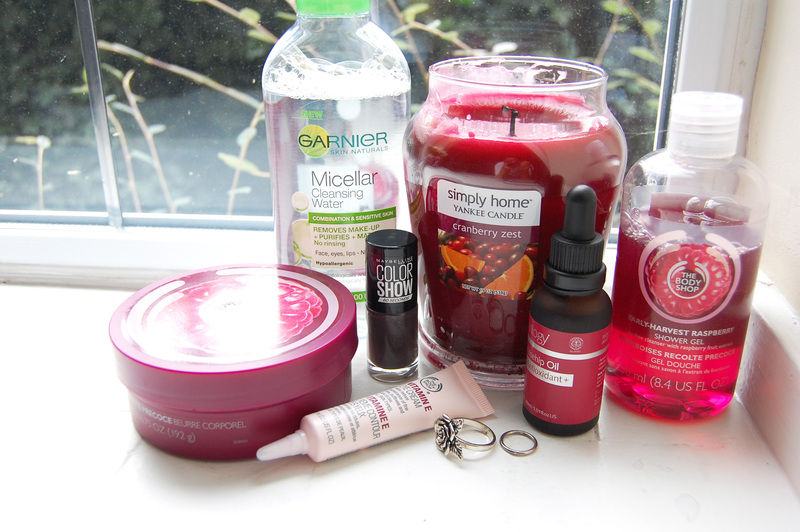 Considering I don’t feel festive at all this year, my November favourites certainly look the part. You can’t go wrong with those berry tones, am I right? 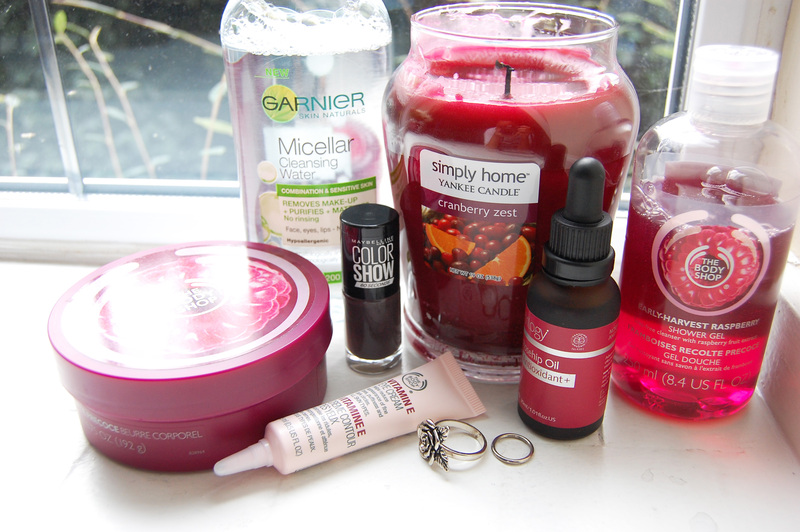 My favourite of the lot is my Cranberry Zest Yankee Candle. I’m no expert at describing scents, but it strikes a perfect balance between something sweet and zesty, with a warmth to it. Does that make sense? The Body Shop’s Early Harvest Raspberry Shower Gel and Body Butter were also all I used. I’m just feeling fruity, what can I say? I find this time of year, my skin needs something heavy duty, but I prefer to stay away from anything greasy. The Body Shop’s body butters are just perfect, and the shower gel lathers much better than their others I’ve tried. My go-to skincare product when I’m severely sleep deprived, a.k.a every other night, is Trilogy’s Rosehip Oil Antioxidant +. It’s just an awesome salve, and it also helps my self-inflicted acne scars fade faster. I also switched to a more hydrating eye cream in the mornings, with the Body Shop’s Vitamin E Eye Cream. For taking off the day, Garnier’s Micellar Cleansing Water for Combination & Sensitive Skin had me covered. It’s gentle and doesn’t feel soapy like Bioderma, and it takes everything off, even stubborn eyeliner. I like it so much that I can ignore the faint cucumber scent, something I absolutely loathe! I’m still obsessed with Maybelline’s Colour Show Nail Polish in Midnight Taupe! Anything that can look this pretty and last six days without chipping (underneath a top coat), gets a major thumbs up from me!